I picked up the mail yesterday and among the half-dozen catalogs, bills and a package for Landry was the envelope we have been waiting two years for from the Boston Athletic Association. 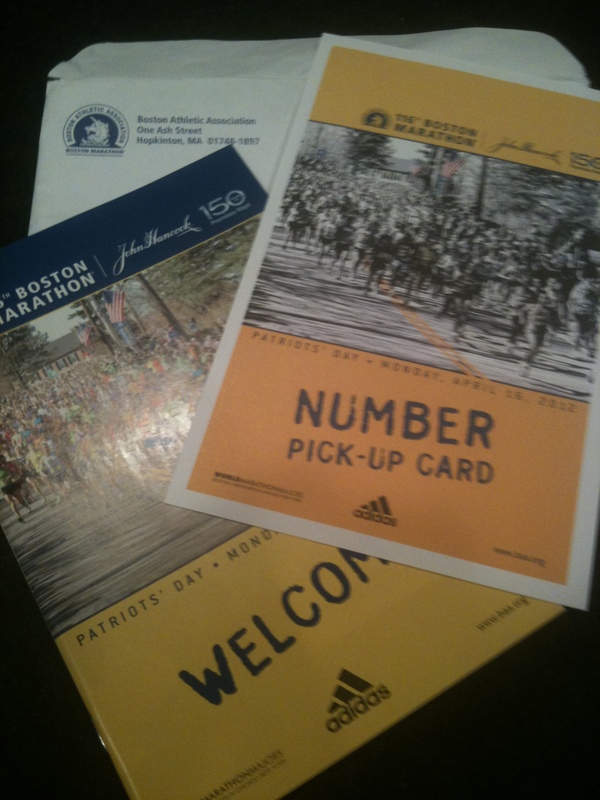 Our Bib pick-up card arrived along with the pre-race information for this years race. 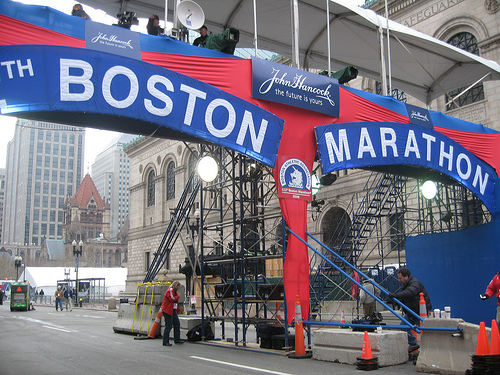 Being a “seeded” race makes Boston a lot more complicated than the average marathon. The Boston Athletic Association painstakingly validates every applicants qualifying time down to the very second, then assigns bib numbers accordingly with the lowest numbers going to the fastest runners, the highest numbers to the “slowest” qualifiers. Slow is all relative when it comes to Boston as every qualifier has run a tremendous race to earn their spot in the event. Gender and age adjusts finish times upward, but within your assigned starting corral, you are surrounded by marathoners who have run a very similar time to your own. It is what makes Boston unique and makes the start very smooth as runners of similar abilities and aspirations take on the storied point to point course from Hopkinton, MA to the Public Library on Boylston Street in downtown Boston. This year our qualifying time of 3:08:09 posted at the New York City Marathon earned us bib number 5280. We will be running with the first wave of athletes out of the 6th corral. I was mildly surprised that we did not make it into the 5th corral with that time with a number somewhere around 4500-4750. In previous years, that is exactly where we would have lined up. But according to the B.A.A. this year’s race features a group of qualifying athletes who are 2 1/2 minutes FASTER than last year’s field. As many predicted, including yours truly – the shift to faster qualifying standards as well as allowing runners with race times further “below” their qualifying standard to register for the race before others who qualified by a smaller margin, the field is simply “faster”. What that means for race day is anyone’s guess. Every race is different, each training cycle unique, each course plays to the strengths of some runners and exposes weaknesses of others. Just because a runner posted a 3:18 in their qualifying race does not mean they will be able to match that performance at Boston. In fact, in 2011 only 43.6% of the qualifiers who raced last April ran another qualifying time at Boston. It’s a race that features a tough course, a late start time and a lot of distractions on race day. In 2010 when we first ran Boston we showed up confident, but in the end I was more or less a tourist. I didn’t fully understand the commitment and the level of dedication in training it was going to take to run well at Boston. Well this time around this race is not a sightseeing excursion. It is a business trip. Sure we are going to make the most of the experience, enjoy the city of Boston and sharing the event with Dawn and Landry who the last time around was still in her Mamma’s belly. but come 10:00 a.m. EDT – all that is going to be put aside and we are going to focus on the next three hours. Every stride will be measured, every move along the course will be strategic. We will run the tangents, draft when we can and conserve as much energy as possible early so when we swing wide around the runners in front of us at the top of Heartbreak Hill – we will be running a 5-mile race to the finish. I’m looking forward to seeing more than 5,000 bobbing heads paint the landscape in front of me as we leave Hopkinton and make our way toward Boston. Pay attention up there guys and run strong. There is going to be slight runner from Austin, TX in a white USA Singlet hot on your heals. You better bring your A game if you plan on holding him off. Clear eyes, full heart, can’t lose. Less than three weeks away from our return to the site of our biggest disappointment as an endurance athlete. Just 19 days away from a shot at redemption. Taking a Texas Sized eraser and wiping away the beat down that the Boston Marathon put on us back in 2010, and replacing that with what we hope will be a best-ever performance (PR) in the marathon. Most coaches believe that it takes 13 days for any “training” that you do to manifest itself in the form of fitness or improved performance. Anything you do in the last two weeks before race day is not going to help your fitness level, but can certainly harm it if you are not well-rested or worse, injured. 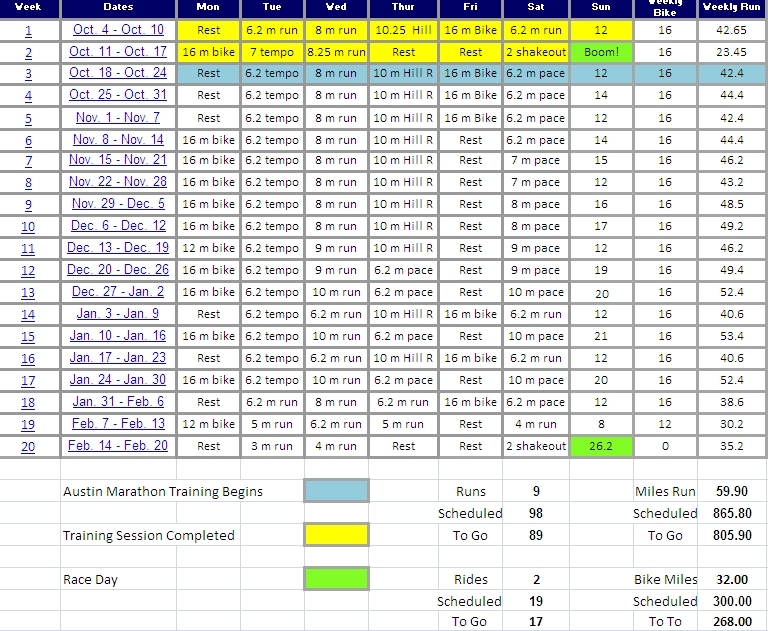 After tinkering around with my own marathon training plans over the years, I’ve found that a full 3-week taper was a bit too long a period to reduce mileage and intensity and “peak” for race day. I trained up until two weeks before the New York City Marathon, tapered for 14 days last November, felt great, ran great – and set a new PR by 7 minutes. So while we changed a few things for the course specific demands that “Boston”places on the athletes, raced a little bit more than last Fall at the half-marathon distance, we did in fact stick with the two-week taper. Tuesday of this week presented us with our last opportunity to “push it a bit” out there before we need to dial things back, ensure that we are 100% healthy on race day and cap things off with a slow, steady, relaxed 20-miler this weekend. I like to change the time of my runs to mimic the start of a late race a few weeks before the marathon. For New York or Boston with 10:00 a.m. start times, it causes problems for a runner who is accustomed to running at 5:00 a.m. Your nutrition, sleep cycle, bio-rhythms are all “out of whack” – which is not a good thing when taking on a tough marathon course for an “A” race. I will be running at 9:00 a.m. CDT (10:00 a.m. EDT) this week and next to get my body ready for the demands of a late race. In 64 degree temperatures and 84% humidity, I left the house in just shorts, socks and my Asics (heavyweight) trainers to take on 18 miles “up-tempo”. Much faster than my 20-23 milers have been run this cycle in the 7:40-7:55 range to build stamina and endurance. I wanted to run this workout much closer to Marathon Goal Pace +:20 seconds to tax my systems only 9 days after the Shamrock Half Marathon. 7:16, 7:03, 7:07, 7:12, 7:15, 7:04, 7:02, 7:13, 7:13, 7:16, 7:07, 6:54, 7:06, 7:12, 7:08, 7:16, 7:15. As I pulled up at the driveway and clicked the timer on the watch we had posted 18 miles at 7:10 pace. Roughly a 3:07:30 marathon plus or minus. Nothing much left to do but to finish out this 70 mile run week, watch my nutrition, monitor any aches and pains and make sure we are getting plenty of sleep. Landry of course will have a bit of a say about that of course with her Mom away this week – but that’s all part of the gig when you are a Dadathoner. I can hardly wait to feel those little arms around my neck when I exit the finishing chute onto Boston Common on the 16th and hand over my finisher’s medal to my little girl. Hopefully she won’t have to wait very long after 1:00 p.m. EDT to get it. Three Weeks to Boston – I wouldn’t change a thing. With the Boston Marathon now just three weeks away there is not a whole lot of heavy lifting left to do for the athletes who are finishing off their training plans and preparing for one of the greatest single day sporting events in the world. “Boston” is watched by more people around the United States than any other single-day event aside from the Superbowl. For distance runners, Boston is our Superbowl. Our Daytona 500. Our Wimbledon Final. Our US Open. It just doesn’t get any bigger and it certainly doesn’t get much better. I’m among the fortunate. I’ve been there before, racing Boston as a qualifier back in 2010. Many amateur runners try to qualify for the Boston Marathon for years. They make numerous attempts at the marathon distance to run a qualifying time on a sanctioned course. Now the stakes are even higher as not only do runners have to run a qualifying time based on their age and gender, but they have to do so by a wide enough margin to gain entrance into the race. Only the fastest of the qualifiers will actually receive bib numbers to race on Patriot’s Day in Boston. This year that meant not only achieving your “Boston Time”but beating that standard by more than one minute and 15 seconds or so. As the years pass I would not be surprised at all if it takes runners a time close to 5 minutes faster than their qualifying standard to actually make it through the registration process before the race fills up. Athletes will train harder, run faster and the competitive field will get faster and faster at one of the Marathon World Majors. For me, this is the end of the line at Boston. I know that it is not wise to say “never” when it comes to the marathon, as I think that for a lot of us, the race chooses us as much as we ever choose it. Perhaps when I turn 50 or on a special anniversary of Dom’s passing I may be tempted to give this thing a go once again, dust off the old training plan, the race flats and go another round with the marathon. But to run Boston is to run two marathons – one as a qualifying race, and then of course Boston itself – roughly within a year or a year and a half depending on when the qualifying race was run. For now, that’s just not on my priority list. We are going to focus on competing as a triathlete, becoming a stronger swimmer a better cyclist and of course – a faster runner. That goes without saying. But to do so, I am going to be focusing on shorter races. More speed work. Less long, steady 20+ mile Sunday runs and a much different approach to training and racing. The marathon is going to be there for me when and if I ever need it. At some point, I probably will. But for now, I’m focusing on these last three weeks to race day. Getting my body 100% right. My mind sharp, my race plan committed to memory and enjoying the journey to what very well may be my last trip to the starting line in tiny Hopkinton, MA. I’ve thought about the Boston Marathon at least one time every day for the past two years. It’s now time to make my return, run my race, come through the chute and no matter what the clock on Boylston Street says, know that I gave absolutely everything I had in pursuit of a near perfect effort. I am going to collect my medal, my heat sheet, my banana, water, bagel, Gatorade and dry bag. I will take off my race flats, put on my compression gear from 110%, a warm top, a ball cap and my Boston Marathon Finisher’s jacket. I will collect my wife and daughter, hug them tight, cry a few tears of joy or disappointment and start the process of saying goodbye to the marathon for a while. There will be days that I’m sure I will miss it. There will also be rainy Sunday’s when I roll back over in bed with the sound of rain hitting the windows outside the bedroom and I’ll smile. Knowing that I only have a dozen or so miles to run that morning instead of 20 or 22. They can wait until after breakfast that week while somebody else is out there training for their chance to run Boston. I hope that they get as much out of the experience as I have since running my first qualifying time in Pittsburgh on May 2, 2009. 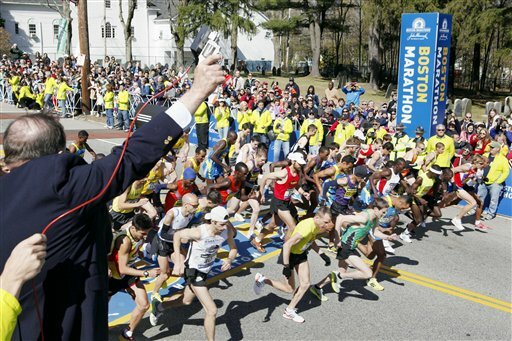 The journey to the starting line of the 116th Boston Marathon has not been easy. There have been ups, downs, injuries, great races and crushing disappointments, but truth be told, I wouldn’t change a single thing. As athletes received their bib numbers for the 116th running of the Boston Marathon last week, the Boston Athletic Association posted information about the options for tracking runners at this year’s Boston Marathon. If you sign up for messaging – which is free for up to 4 athletes on race day – you will be sent a text message as your runner crosses the 10K, Half-Marathon, 30K and finish line of the Boston Marathon. To find your runner’s bib number click HERE and you will be taken to the entrants search page. Enter in your runner’s name along with some other information such as hometown or age if it is a common name, (no such worries as I am the only Marruchella in the event this year) and you will pull up the athletes information including their race number. You will receive a message within a second or two from ATT asking you for the runner’s bib number you would like to track. You can also visit the Boston Athletic Association website to sign up via e-mail if you prefer. That information can be found by clicking HERE. Running out of corral number 6 it should take me approximately 4 minutes or so to cross the starting line on April 16th or 10:04 EDT. 10 kilometer checkpoint? 10:46 a.m. Finish line? Well that’s the big question now isn’t it? 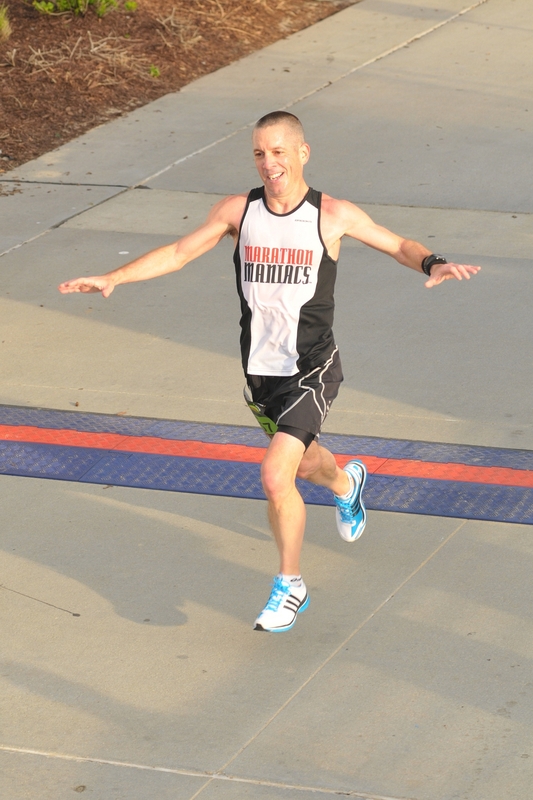 On Friday as I was arriving in Virginia Beach for our final tune-up race before Boston I got a text message from a friend telling me that Boston Marathon Bib Numbers and Corral assignments were up on the Boston Athletic Association website. With the exception of elite athletes who are “seeded” by their bib numbers at major races, where the “favored athletes” or those most likely to win the race are given the lowest numbers – a bib number to the rest of us is usually just a function of how early we registered for a race. The lowest numbers go to the “early-birds”, while the higher numbers go to those runners who register later in the process. Boston is a bit different however as for the runners who have “qualified” for the race – everyone is seeded. The fastest runners down to the very second in their qualifying races are given a lower number than the runner just behind them. Runners are then separated further into groups of 1,000 into one of the nine starting corrals for each of the three starting waves. Wave 1 will accommodate runners with bib numbers 1 – 8,999 or the first 8,999 athletes. Wave 2 will accommodate runners with bib numbers 9,000 – 17,999. Wave 3 will hold the balance of the athletes from 18,000 and above – including the charity entries with the lowest bib numbers. The first wave will go off at 10:00 a.m. EDT, the second wave at 10:20 a.m. EDT and the final wave at 10:40 a.m. EDT. All of this is done with great care to enhance the race experience for all of the athletes in the event. The thought being that each runner will be paired with runners around them of similar abilities and pace strategies. This will make the trip from Hopkinton, MA to Boston along a relatively tight course easy to maneuver for more than 26,000 runners. This year our qualifying time at the New York City Marathon of 3:08:09 earned us bib# 5280. Wave 1, Corral 6. A perfect spot. With a goal time under our qualifying time, we will be in the corral with runners who have finished a marathon between approximately 7:08 and 7:14 pace. This will play to our advantage if the majority of the group around me does not go out too fast as I am hoping to run the first two miles of the race right about 7:00 min./mile. Gradually increasing our effort to fall into goal pace of 6:52 by mile 4. As I have said before, Boston can be a cruel race. The opening 15-16 miles of the race is decidedly downhill. You couple the topography with the added adrenaline at the start of one of the largest and most prestigious road races in the world, and it is very, very easy to get sucked in to a pace that is too fast, too soon. One of the things that I found most interesting looking back on our three half-marathons over the course of this training cycle is that the slower I started, the bettter I finished. The longer the race, the greater the penalty for starting too fast. In a 5K or 10K a runner can tough out the final mile or mile and a half and “hang on” to the finish. In the half-marathon this gets far more difficult after mile 8 or 9 leaving more than 4 miles to go to the finish. A :15 or :20 slow down can mean as much as 1:30 added to your race time. In the marathon, this can start as early as mile 15 or 16, with 10 grueling miles to go, including the final 10 kilometers where the athletes body is already depleted of those precious glycogen stores and is now resorting to burning fat as fuel which is much less efficient. Now a slow-down that might be :20 or :30 a mile could be as much as 1:00 to 1:30 each mile. Adding 10-15 minutes onto your race time. When I talk about my goal of negative splitting Boston, or running the second 13.1 miles faster than the first I get quizzical looks from many of my friends – runners and non-runners alike. How can you plan to do that with all of those tough hills in the second half of the race? The reality is the “tough hills” in Boston are the down hills over the opening 15-16 miles of the race, not the 4 climbs from miles 17-21. Running 15 downhill miles will take far more out of a runner than 3 miles or so of uphills. Running in control and clicking off marathon pace miles at or just above 6:52 pace will mean that I am actually running 7:00 to 7:05 “EFFORT” over the opening half of the race. Problems will arise if I am running 6:52 “EFFORT” at the start of the race, translating to something closer to 6:40 pace over the first half. You would think that you are “banking time”, allowing for a larger fade over the course of the final miles of the race, but what you are really doing is robbing yourself of any chance to dig deep and hold pace late. We are going to try to thread the needle in Boston this April with a 1:30:30 first half and a 1:29:29 second half. If the hills in Newton rob us of our strength to close out the race strong – we should still have enough left in the tank to ward off a huge late fade and finish with a strong race and a new PR in the marathon at Boston. But if we get it right, and all of the hill work, racing and high mileage has done its job, maybe, just maybe we can pull this off and come through that chute with our “A” goal of 2:59:59 or better. A 1:23:46 half-marathon translates roughly to a 2:58:00 marathon. Add a couple of minutes for the course in Boston and we are right in that 3:00:00-3:01:00 range from a capability standpoint. Right now it’s up to health and the weather. I’ve got to work a little soreness out of the top of this foot and hope that the race day weather Gods are kind to us in April. What started out 18 weeks ago as a journey with many, many variables is now down to only two. One of which I can control by being smart and patient with this sore foot, the other I really can’t do much about at all. 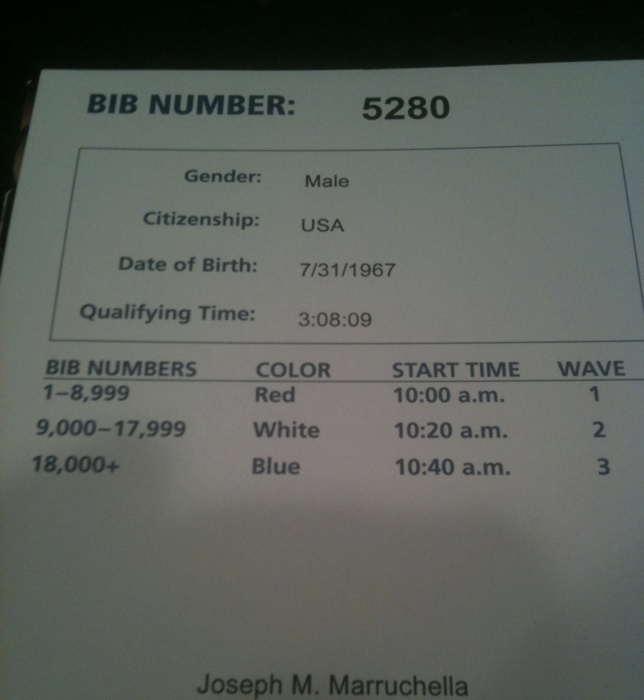 In 2010 we ran out of corral 8 with bib number 7929 affixed to our shorts. Two years later we are 2,649 athletes closer to the starting line in corrral 6. Two years older, two years wiser and with any luck, we’re about to finally get this race exactly right. It seems that every time we toe the line on race day there is at least one lesson out there to learn. Just because things during race week don’t necessarily go your way – it doesn’t mean that when the gun fires you can’t just set all of that aside and lay down something special. Sure getting a cold a few days before race day, taking a cross-country trip after losing your wallet the day before and spending time at the Department of Transportation, calling around to credit card companies and tearing apart your home and truck is not an ideal, calm way to prepare for a tough race. But as I woke up on Sunday morning at 5:00 a.m. and shuffled to the bathroom I was determined to try to set all that “stuff” aside and do what we came here to do. Run our race, put in our last “tough” effort of this training cycle and post one final indicator as to our fitness and training for Boston in four weeks. I could tell that my cold had broken up a bit more overnight, my nose wasn’t as stuffed up as it had been, and my voice was coming back to me. After a great Italian Dinner with my friends Steve and Ally Speirs the night before, I felt fueled up and ready to race. I took a hot shower to loosen up the muscles, ate my pre-race bagel, chased it down with grape Gatorade and decided on my race gear. The temperature was just a bit above 50 degrees, with a East/Northeast wind gusting between 12-14 mph. Not picture perfect race conditions, but coupled with an extremely flat course, I felt like the day would be “neutral”. 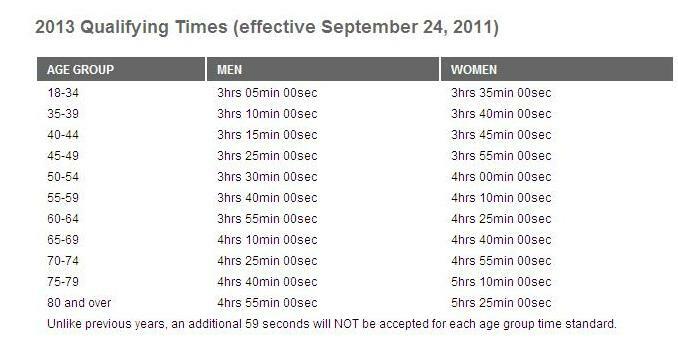 Not helping runners to quick times, but definitely not restricting them either. It was a fair day on a fair course. Effort would equal results on a day like today I thought. I threw on a fleece top I bought locally the day before that I would drop at the starting line just before the gun fired and made my way to check my dry bag with warm clothes at the race start. Being my first experience in VA Beach running a Shamrock event I was very impressed with the job J&A Racing did organizing the event. Great bag-check service. Plenty of porta-potties for the 10,000+ half-marathoners and a very organized coral system for the athletes. There was the usual mess of runners forecasting faster times that they are capable of running during the registration process to get a spot “up-front” – but that happens at virtually all events where previous race times are not a requirement for seeding. I decided to start about 25-30runners from the front, thinking that I would more than likely run in the top 60 runners at the end of the day +/-. There was a “dual starting chute” on both sides of the divided road on Atlantic Avenue. 30 deep on my side seemed about right. Just before it was time to get ready to roll my friend Steve shouted to me and gave me the thumbs up. I returned the gesture and thought to myself, man – this really is what it is all about. I had been listening to some Springsteen in the hotel the night before the race, specifically Jungleland from the Born to Run album. A calmness came over me in the start area and I told myself to just relax, run an even, easy opening mile, sit back and let it all be ….. let the race come to you. Don’t force anything. 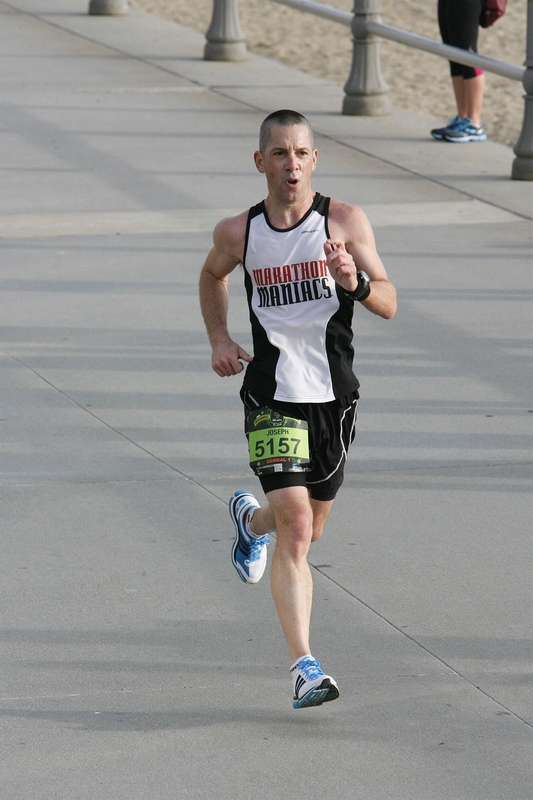 PR Pace for me in the half-marathon is 6:23 (1:23:55). I was right where I needed to be. Shore Drive: Just after the start of mile 4 the course turns to the West/Northwest and takes runners up along shore drive. Oddly, moving away from the beach. This was a very lonely stretch of the course where we had caught and passed a dozen runners or so and were now running in a very small group of 2-3 runners. There is a very slight false-flat through this section – but for the most part a very beautiful and serene part of the race course. The road had a definite camber to it however and I found myself trying to find the “flattest” part of the road to run. After experimenting with the middle of the road and the center of each lane, I settled on the right shoulder. It seemed to be the flattest area. It would not let me tangent the curves, but it would take pressure off of the lower of my two knees as well as my hips fighting to stay upright. I was willing to sacrifice some added distance for a better footstrike. I hit the water stop in the middle of this stretch for a quick sip of water. So far my sore throat was not a factor at all, nor was my stuffy nose. All systems were full go. Splits here were: 6:28, 6:17, 6:22. Fort Story: We made a right turn to head through the West gate of Fort Story and gradually make the wide arc back towards the finish. The wind from the East was blowing slightly into the face of the runners until the exit of the base at mile 9. I decided to stay as even as possible as we ran through the base – nothing faster, nothing slower – just lock in. Splits over the next three miles were: 6:21, 6:22, 6:20. Back on Atlantic: We exited the base back onto Atlantic Avenue and for the first time could see half-marathoners heading towards us coming from the opposite direction, 6 miles behind. I was able to stay steady through mile 9, but as mile 10 began I was having a hard time keeping my cadence steady. The lack of hills on the course which is a positive in some ways can be a detriment in others. 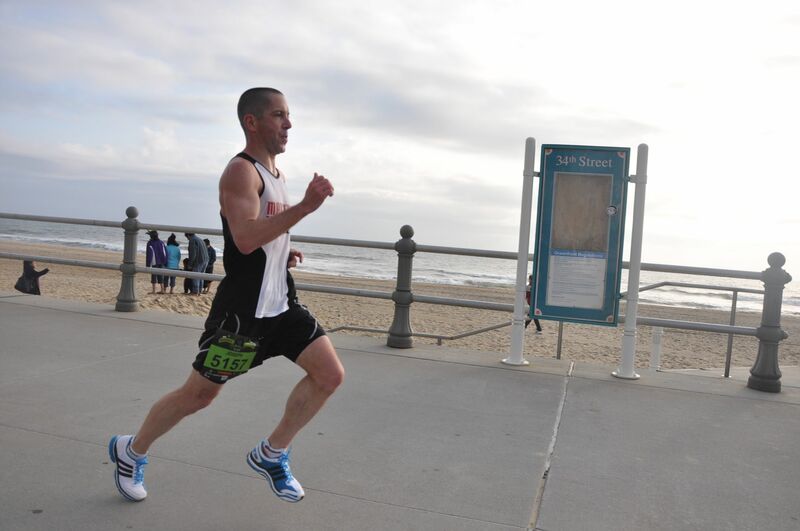 With no changes to your stride length or cadence your legs start to “fall asleep”. I tried to mix up my stride, add a surge every two minutes or so for :15 seconds, but I could feel my pace starting to fall off a bit. I was still right on PR pace, if I could stay around 6:25 on the way in, I would have a great shot at pulling it out along the boardwalk. Splits for the next three miles were: 6:21, 6:26, 6:30. Closing Stretch: As my watch sounded at the mile 12 marker I glanced down and saw a mile above 6:20’s for the first time of the day – I knew it was time to snap out of it and gradually start putting the pedal back down. 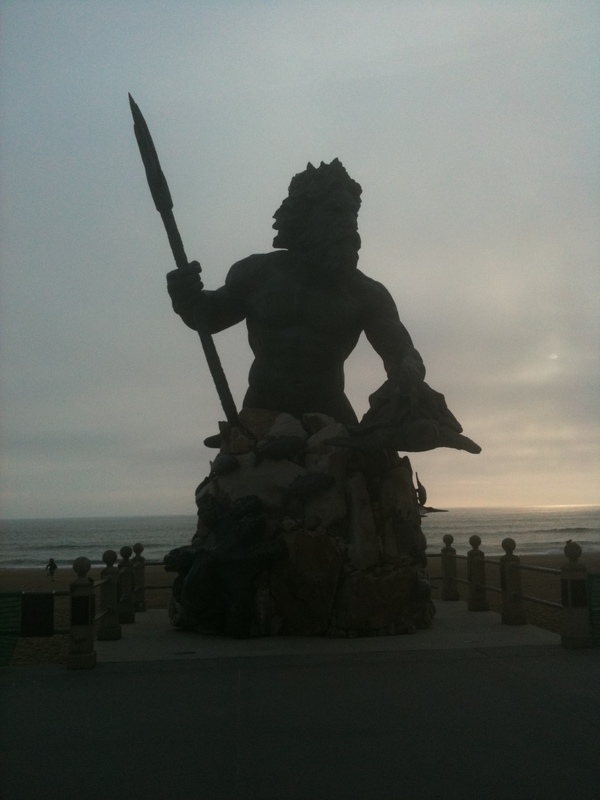 As we approached the turn off of Atlantic through the loudspeakers that were placed along the curve I heard the familiar drum kick from Max Weinberg and the Fender Stratocaster of the Boss belting out Born to Run. We made an arching turn at 45th street and entered the boardwalk at 37th. With 1/2 mile to go I started to force the issue just a bit. On the right I caught a glimpse of Ally, Steve, Shannon and Caroline and saw a big smile come across Steve’s face. “Finish this thing off strong”he said, and I knew I must be looking at a PR with a strong kick. Mile 13 was my fastest mile of the day at 6:16. I kicked over the mat with a final 1/10 at 5:39 pace. 1:23:46 official time. A new PR by :09. PR’s don’t come around very often, especially in the middle of a tough marathon cycle. I am proud of this one more than most as it finally knocked down my 3M Half-Marathon time from 2010 set on a notoriously fast, downhill course to second best. My 10K, Half-Marathon and Marathon PR’s have all been set within the last 6 months, all with that 45th birthday creeping closer and closer. By the looks of things, that marathon PR stands a good chance of being erased and replaced with a shiny new number in Boston. One lesson I am taking with me next month is that in a long race, forcing the issue and pushing the limits early is NOT the way to go. 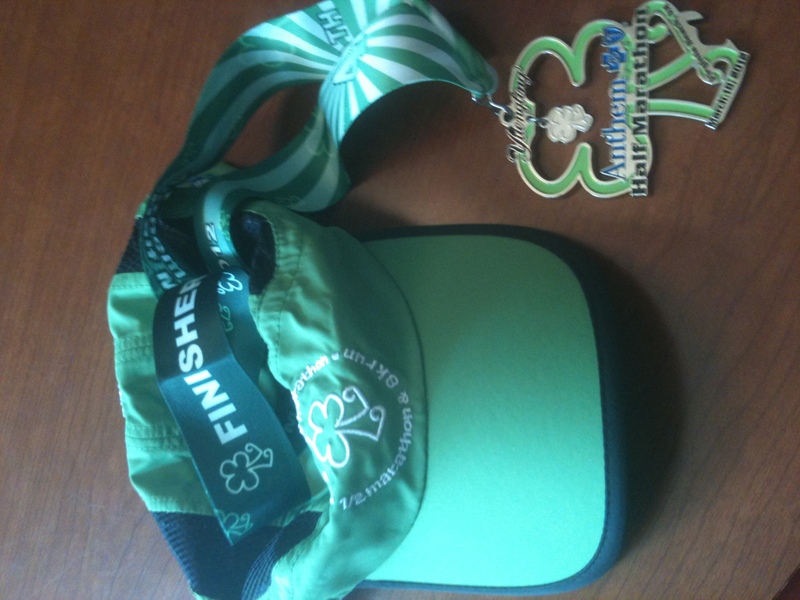 April 16th we’re going to do just what we did during the Austin Half in February and the Shamrock Half on Sunday. Stand back and let it all be. What was shaping up to be a great weekend of racing is starting to look pretty suspect. Landry’s cold that kept her out of school this week became “Daddy’s cold” a couple days later. I’ve got a sore throat, headache, general “achey-ness and my voice is all but gone. PR this weekend? Highly doubtful. I was concerned that being a little bit beaten down at this stage of Boston training was going to rear it’s head, and in a state of reduced immunity – I would contract whatever bug Landry had on Monday. It took a couple of days and “sure as shootin'” as they say in Texas, I’ve got a Texas-sized cold. Today as Landry and Dawn dropped me at the airport for my flights out East to Norfolk, Landry is back to just about 100%. It seems like I am about 2-days in arears with her symptoms, so possibly I will be able to pull it out on Sunday and put up a decent race. I have not run in three days and will only go for a short shake-out 2 miles on Saturday morning to test things out a bit. My legs feel rested and strong – but the rest of the machine is feeling pretty lousy. Instead of worrying too much about mile splits and trying to force the issue on Sunday – I am going to run by feel instead – post an opening mile :10 or :15 off of what we normally would at the start of a half-marathon and then try to fall into our target pace around 6:20-6:25 to see how that feels over mile 2. If I am running free and easy, we’ll stay with it as long as we can. If I am already struggling to hold pace – which should not be the case that early in the game – I’ll back off and just turn this into a glorified up-tempo training run and hope to run something around 6:35 or so. It will still be a solid workout – but not the race we were hoping for – as this was shaping up to be our time-trial event for Boston now just 4 weeks away. That is the thing that is always interesting for the amateur marathoner – life, responsibilities, a sick little daughter or even a lost wallet a day before a trip filled with flights, rental cars and hotel stays (don’t even get me started on that situation) can conspire to alter our plans. The fact of the matter is, we’re not professional athletes. All we can do is go out there and do our best. Let the chips fall where they may. So for Shamrock this weekend, I’m going to try to run my race and do the best I can. Whatever the clock says on Sunday morning around 8:30 a.m. EST will have to be good enough. I’m determined not to beat myself up too much over a “flat” race and reload for the final push to the starting line in Boston. So far we’ve run average at the Texas Half in January, Tremendous at the Austin Half in February – perhaps we are due for another “average” day in Virginia this weekend and the pattern will hold where we have a tremendous Boston Marathon in April. That’s the “A” race we’ve been training so hard for over the past several months. Sunday’s race in Virginia Beach is one that we’ll just have to be satisfied with our effort under less than ideal circumstances and not worry too awful much if the time on the clock is something we are not excited about. Everybody gets knocked down from time to time. Dom taught me that lesson over and over during his battle with cancer. It’s not a matter of getting knocked down, it’s a matter of getting back up. Here’s to picking ourself up, dusting ourself off and getting back up on Sunday morning. Don’t count us out just yet.